Starting from Francesco’s initial concept and continuing right up to the present-day, Bartolucci has become a modern, dynamic company that still uses craftmanship methods of production, while embracing the innovations of modern technologies. We are thus able to create both unique pieces and new items in large quantities. We offer our creations in the Bartolucci stores in Urbino, Rome and Florence, as well as in our ONLINE SHOP. Apart from our directly-owned stores, the company today supplies some major single-brand retailers and over one hundred and fifty sales outlets and shop-in-shops throughout Italy and the World. Wood is our special material! A live material, from which we extract unique, highly-prized products, filled with emotion: gift items and collector’s pieces, furnishing accessories and toys, all strictly “Made in Italy”. Each item starts off from an original drawing; it is then processed and assembled by hand, following a process made up, on average, of more than ten different stages. In particular, the models in our Pinocchio range have a high-class handcrafted quality, because they are all entirely created and painted by hand. We use Italian wood sourced from FSC-certified plantations, and paints that comply with European standards, respecting environmental and social sustainability. Commitment on a daily basis, dedication to our work, attention to the social reality of the surrounding area we operate in, respect for the environment, caring about human relationships, stimulating creativity: these are the values that have long been the hallmark of our way of carrying out our company business. We are dedicated to the continuous search for quality, to respect the great Italian handcrafting tradition of woodwork and engraving, to create unique and original products. Our desire is to enliven all the spaces of life with the magic of wood, filling them with the emotional impact of our creative designs and the charm of our products. These are the words they use to talk about our company on www.generativita.it, a website that gives space to “generative” companies. Ever since 1936, our family’s name has been linked to the processing of wood. In that year, the four Bartolucci brothers established a small accordion factory in Belvedere Fogliense, and it remained active until the 1950s. In 1981, Francesco Bartolucci took up the family tradition again, by carving his first puppet: he immediately found a useful support in the experience of his father Matteo; very soon, sisters Chiara and Anna Maria also joined the firm, and they are still members of the company team. Today, working alongside Francesco are: his wife Mariagrazia Stocchi, the firm’s CEO since 2007, and their children – Maria, marketing manager, and Giovanni, who looks after new productions. The Bartolucci adventure began in the little village of Belvedere Fogliense (formerly Montelevecchie) in the borough of Tavullia, perched up in the hills of the Montefeltro area. It’s a township with a flavour of bygone days, where life still flows along quietly and where you can enjoy the view from its ancient walls and savour the magic of a panoramic view that will touch your soul. It was here, in 1936, that the Bartolucci story began and it was here that the family chose to keep the core of its business. It was in May 1981 that Francesco Bartolucci, the son and grandson of woodworkers, carved his first Pinocchio in a small workshop in the basement of his home. He learned the art of carving in the shop belonging to Elvino Ugolini, a local craftsman, which he joined when he was only 13, and before turning his attention to Pinocchio he developed a long experience in decorating and engraving in his uncle Ernesto’s furniture business. “A king”, my little readers will say immediately. “No, children, you are mistaken. From the first Pinocchi sold in the little village markets, which Francesco Bartolucci travelled to in his blue Citroen Dyane 6, to the first store, which opened in Urbino in 1990, the magic of the Bartolucci world has captivated hearts in many different cultures and spread throughout the world. In 2011 the international adventure began, and today Bartolucci sales points – real emporia of wonders – brighten up towns, metropolises and far-off lands, everywhere bringing a little of the magic, enchantment and “rimembrilli” that only Pinocchio and the other special handmade Bartolucci creations know how to bestow. 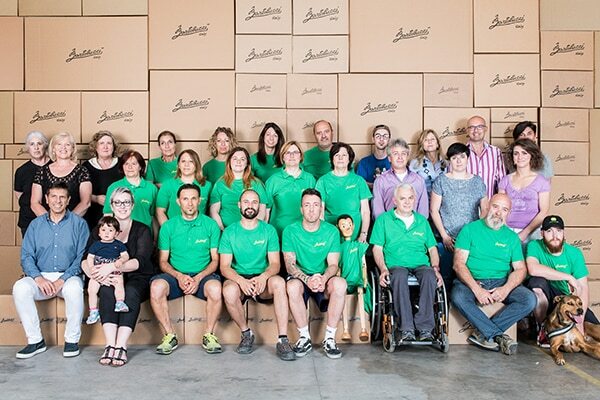 The Bartolucci company has been dedicated to solidarity projects along with its customers for over 10 years. Some people say that you do solidarity projects, but you don’t boast about them. Even in the humility of the gesture, we also believe in the value of sharing a solidarity project because donating together is not just a pleasure, but it’s of value for everybody. We’ve chosen to diversify our solidarity actions, at both local and international level, aware that small donations arrive from tourists and customers from all parts of the world.